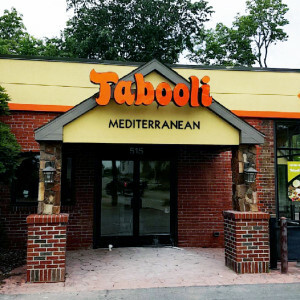 Tabooli Mediterranean / ADVENTURE IN FLAVOR! One of the most versatile Mediterranean ingredients, parsley can be used as a main seasoning agent or beautiful, fresh garnish. You can find parsley in our marinades, salads, and garnishing our dishes. "The new Feno sandwich option is great. 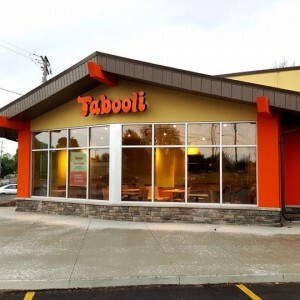 Tabooli's new location is ideal for those who live around the campus and are looking for healthy options. But it was the customer service that left me very impressed. Nick, the manager, seemed very enthusiastic about this budding food joint." "I went to the restaurant on grand river. I really liked the food it was great. The service was really good as well. I highly recommend this to anyone who's looking for something quick and good to eat." "These guys have great food! I come here alot to get lunch and dinner because it is convenient and the service is very friendly!" "had a chicken shawarma wrap and was pleasantly surprised with the quality of my meal. the ingredients were fresh and high quality. Customer service was excellent and i spoke with manager (Hatim) and he made sure that my meal was up to par and fresh. Will be back again soon." "Delicious Mediterranean food! Low key atmosphere with fast friendly service. The beef shawarma bowl was tasty." "Great Food! Awesome staff. I really like the Mediterranean salsa wish they would put it in a jar." "Ate here for the first time a few days ago. The food was AMAZING and the service was excellent. The manager (I believe his name was Tim) showed great customer service. He made sure we had everything we needed and even served us desert on the house. Will most definitely be eating here again. :)"
"Best shawarma I ever had or at least in a really long time. Love the fact you can make it a bowl, wrap, or panini. Add those delicious pickley, garlicky, hummusly delights and pick it up at a drive thru!?! What?!? Genius! Ratatouille was fantastic too.This place needs to have chain stores throughout the US." "wonderful customer service and great food. authentic and fresh. what can you ask for?" "Very good! The best I've had so far & very fresh! I will definitely be coming back." "EXCELLENT!! The food & staff are both top-notch..food is hot, fresh & plentiful!! They are glad to explain ANYTHING about the food!! Very much recommend this place!" "Great food at a very reasonable price along with wonderful customer service - nothing better!" "Very friendly staff, fresh, tasty food and a clean place to enjoy it... Very good experience, I can't wait to come back for more." "Best food in town! seriously delicious and great place to eat and the service is beyond superb! I LOVE THIS PLACE!!!" "Everyone should try their beef stew and panini! It was one of the best lunches I had around downtown Lansing area!" "Tabooli's catered an event for me within a day. The food was delicious, hot and ready to eat. The best part was the service. The staff is very friendly and the manager, Hatim, is hardworking as well as very accommodating. I have no doubts I'd have Tabooli's cater again. Highly recommend!" "Very personable staff! Friendly atmosphere and the food is amazing I have been coming here since it opened and it gets better and better! One of the managers even opened the door for me on my way out you just don't see that anymore. Great works guys"
"Great food and great management at the Michigan location. Will be back!!" "I have worked in restaurants for years and was very impressed. Great food and great service." "I love this place... you get to pick all your favorite Mediterranean flavors. " "Great food and fast service! They have the best falafel in town!" "I highly recommend this restaurant for a quick lunch or dinner."